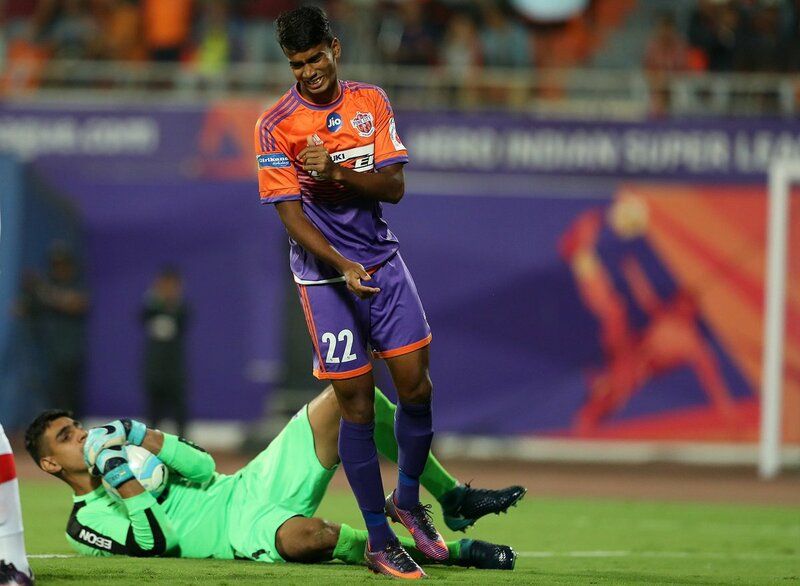 The Stallions and Eagles played out a scoreless draw in the first leg of their semi final clash in Pune. Neither team particularly impressed in the final third as there was only combined 4 shots on target for the teams. The second leg promises to be an enthralling one as both teams will need to score in order to get to the finals. Here are the major talking points from the game tonight. Pune and Bengaluru have scored a combined 65 goals in 36 games in the league stage. The first half however saw two teams playing cautious defensive football with neither willing to take the risk and force the issue. The likes of Marcelinho, Miku, Alfaro and Chhetri must guarantee loads of goal but it was anything but that. Both teams were lack lustre in the final third and it could have been some of the knockout nerves. The second half was better in terms of quality in the final third but still the best chances came for either side came from the set pieces. With the introduction of away goals rule, the hosts were particularly wary of not conceding on the night. The second leg hopefully will be the exciting clash between two free scoring teams which the Indian football audience looked forward to. Toni Dovale was given the nod ahead of the Australian Erik Paartalu in the starting eleven. The Spaniard however was a peripheral figure in the first half as the play completely bypassed him in the centre of the park. There were murmurs after the departure of Edu Garcia on who will replace him in Roca's lineup. Erik and Dimas were expected to line up but Roca preferred Toni in a more advanced role. It is safe to say that the chances of the Spaniard starting the second leg are diminished for now. Erik Paartalu after coming on for Dovale at the hour mark shielded the defence well and allowed Dimas to play further forward. The Australian has been consistent this season and has scored important goals from set-piece situation. Arguable the Brazilian maestro is the key player for the stallions and they will look to him for inspiration at the Kanteerava. 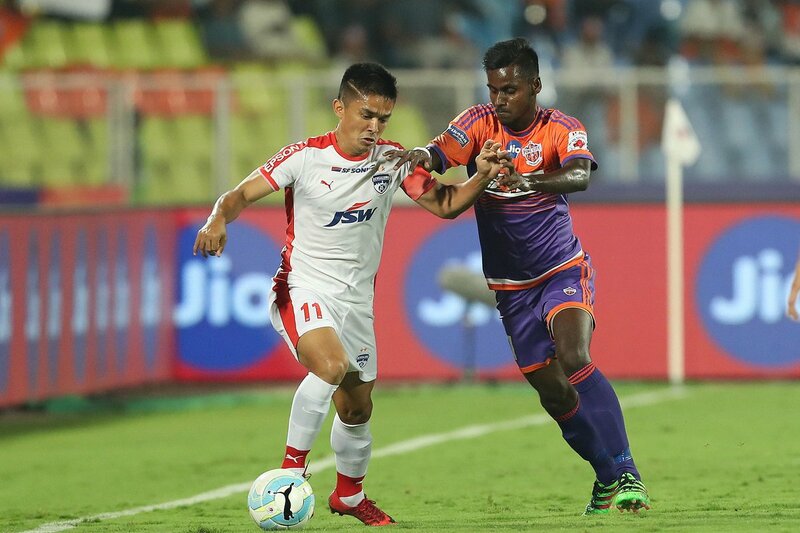 Marcelinho started in the number 10 role and was kept under close tabs by the Bengaluru defence. The introduction of Issac saw the Brazilian play from the right and he created a couple of brilliant chances for his team mates to find the back of the net. This Sunday, Ranko will have an important decision to make on Marcelinho's position and this decision could prove to be the decisive factor in the outcome of the tie. Starting the Brazilian on right will mean limited cover for the right back but the stallions will have to be expansive to secure a result in kanteerava. It is always important to take an advantage to the second leg for the hosts. Though ideally Pune would have liked to take a win to the Kanteerava, they will be content to go through with a scoreless draw. Bengaluru don't have an away goal and a draw (scored) in the fortress will see the stallions progress on the basis of newly introduced away goal rule. This season's ISL has seen an interesting trend of more away wins than ever and the stallions will know they will have every chance of progressing. They will have to repeat their league result against Bengaluru in Kanteerava in their second leg to progress. Who's got the upper hand for the 2nd leg at Kanteerava now?